Ha! No I didn't. But starting on the premise that I had and I had already saved a bunch of cash and decided to finally become my own boss, what would I do first? For me this is hypothetical, but for my good friend who's about to make the leap out of full time employment to self employment it is very very real. And so I will live vicariously and imagine what I'd do. Month 3 gut check milestone - pull the plug or keep going? Month 4 gut check milestone - go alone or go big? do I need more money? Month 5 gut check milestone - pull the plug or keep going? Months 9 gut check - is this a venture someone would buy? should I start talking to those people? The high level guiding principles for the need I'm trying to solve, how I'll translate that into some revenue (not overly specific), who I'm targeting, who my competitors may be and what the biggest risks are. I would do this loosely, but I would do it. Just the act of looking and solidifying my direction would be motivating. Build a backlog of features, ideally written in the style of "As a <<user>> I want <<to do something>> so that <<some value>>"
Prioritize my backlog with this user type in mind, and work backwards to find the minimum viable product that could actually be used by a user. This is my first milestone. Look for ways to accelerate getting to revenue sooner. Network network network. A lot of my milestones might be easier with help. Socialize that I'm up to something even if I'm not giving away the secret sauce. Where will I deploy? How will I deploy? I only have two months before it needs to be live in some form so figure that out. What questions will I need to ask in order to answer my gut check milestones? Ask those early. Are there components I should look to buy or rent rather than build? How do those align to my backlog? How could I accelerate delivery of features? Can some things be outsourced? Should my backlog be altered to allow my investment decision in month four? What else might I need to make a go big decision in month four? 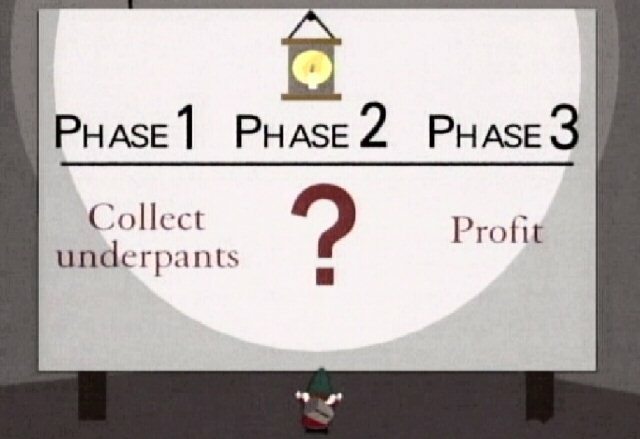 Do I need a more formal business plan? Do I need to incorporate? Continue to build like mad! !